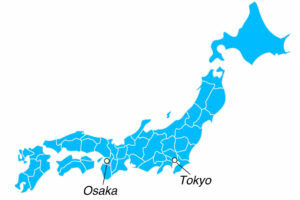 Which way should you go to Tokyo and Osaka? 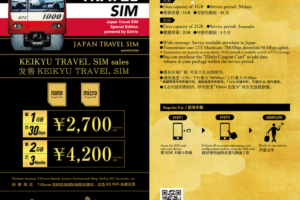 Keihin Electric Railway Co., Ltd. will sell the SIM card “KEIKYU TRAVEL SIM Japan Travel SIM Special Edition powered by IIJmio” from February 7, 2018 for foreigners visiting Haneda Airport(Tokyo). 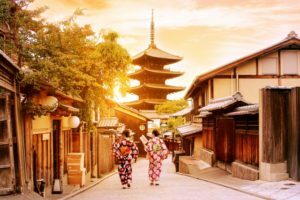 There are many sightseeing spots in Japan such as famous spots such as Kyoto and Asakusa, meals such as sushi and ramen, marine sports in the beautiful sea of ​​Okinawa and winter sports in powder snow of Hokkaido. I think that all of them are fun, delicious and characteristic of Japan. However, I would like to introduce somewhat strange highlight that people who came to Japan feel soon. Jetstar is holding ”Super Star Sale” from 6 PM on January 18, 2018. 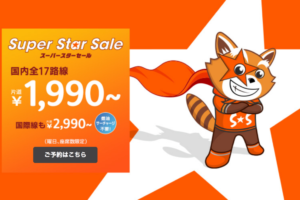 This is the target for all Jetstar Japan routes. 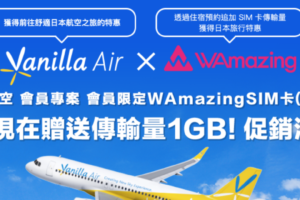 Vanilla Air will present SIM capacity up to 1 GB free for those traveling from Taiwan or Hong Kong to Japan January 17 – March 31, 2018 using Vanilla Air. (Can be used for 15 days). 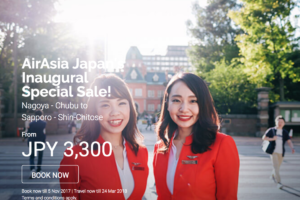 AirAsia made service to Japan domestic flights from October 29, 2017. It is Nagoya ⇔ Sapporo line that made the service. AirAsia operated Japan domestic flight in 2012, but was suspended in 2013. It will be the return after that. Kansai International Airport is delighted to announce that “AnyFone Japan”, a store providing prepaid mobile phones, SIM cards and rental pocket WiFi routers , will open o n the international arrival floor (Terminal1 1st floor) on Wednesday, November 8, 2017. In July 2017, a female-only hotel opened in Designer’s Capsule Hotel nine Hours. The Hotel name is “nine hours woman Kanda”. 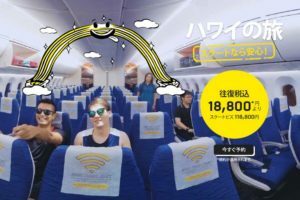 Scoot enters service newly in Osaka⇔ Hawaii line from December 19, 2017. In addition, the Osaka ⇔ Singapore route currently operated by flight will also operate direct flights from 20th December. To celebrate this, “Hawaii Travel Sale” is being held from October 4th today. Kansai International Airport (Osaka) announces that a new money exchange service will be available on Tuesday, October 3 , 2017. Self – service Pocket Change machines convert leftover foreign bills and coins into e – money, gift codes or coupons.